Get to date single Acapulco women through our tours! As much as Acapulco city is world-renowned for its beach resorts, it is also a synonym for relaxation and fun. But what the city holds far greater than this is its stunning bachelorettes whose qualities may take you by surprise as to how much they can be worth the while. Now, before you get too excited on dating Acapulco women, you should know its basics first. Dating them is equitable to going on a war where you must be geared up. Hence, you must know what it is like to date these women through the culture in Mexico specifically its dating culture. Even in Acapulco dating culture, men and women take the stereotypical gender roles. 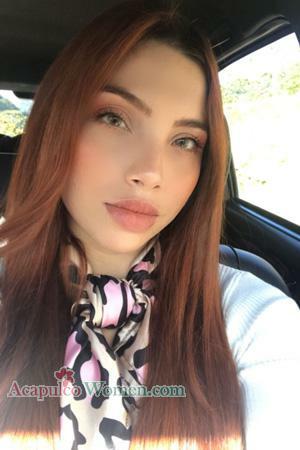 Mexican men always make the first move, and are expected to pay for everything in the date because they have been raised to be the providers of the family. Mexican women also know this to be true. Displays of affection may be the norm even if it’s just the first date. However, the more conservative and traditional chicas are not receptive to this. There may be some step backs when it comes to multicultural relationships, especially if foreign men date Mexican women. However, once cultural differences are set aside and customs and traditions are learned, relationships and marriages will be smooth sailing. Dating women from another culture, especially women in Acapulco, is no different than dating someone from another foreign background. Dating is the same everywhere, and unique cultures and dating rules should not matter, especially if two people enjoy each other and find ways to make their relationship work despite racial differences. Acapulco Women is a personals agency and romance tour operator that specializes in one-on-one introductions. 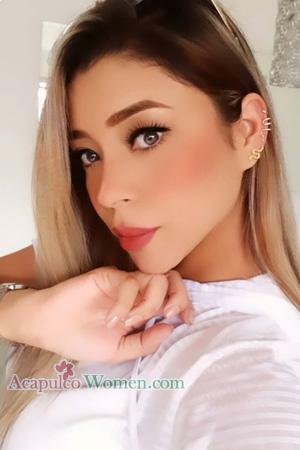 Gentlemen from all over the world flock to our company to avail of our services to fulfill their wishes of being introduced to hundreds of Mexican women. Take your Acapulco woman on a date she will always remember. Beach & Scenic Sunsets. Acapulco beaches are known for its inviting blue waters. The place has the best beaches in all of Mexico. Basking under the hot sun and swimming in the warm waters are one of the things to look forward to. Remember to spend time on the shoreline at dusk because the beaches have an unimpeded view of the glorious orange sunset. Viewing the fiery glows of the setting sun is a great romantic activity after a whole day of fun lounging at the beach. Nightlife & Dancing. Latin countries are known for its festive nightlife. With free-flowing booze, upbeat music and beautiful women, it's not hard to imagine that dance clubs are packed with local and foreign revelers, especially on the weekends. Latinas love to dance, thus, going to nightclubs should be an especially favorite activity for your date. Food Tours. There's no place that does Mexican food better than Acapulco itself. Food is one of the most immersive and best ways to get to know about a place and its culture. Treat your taste buds to hearty Mesoamerican cooking and spicy dishes that are sure to be delighted of! Mexico is basically known to have beautiful women. This is not just based on their physical appearance but it is true inside and out. They have these genuine qualities as to why they are perfect and fitting to become your long-term partner. They have strong personalities. Mexican women are known for their strong personalities and that includes Acapulco women. They express themselves freely and never holds back on their thoughts. They are often labeled as rebellious.They are not afraid of what the society has to say. This can totally spice up your relationship and bring about challenges to both of you. They are affectionate yet privy. Although it may come quite as a surprise for you but amidst their strong personalities, they are still affectionate. They may not show it often but they will let you know about this in ways they know of. you fall for them with their genuine qualities. They know the word “fun” and “dancing”. Women in Acapulco are very outgoing. They are always in the mood for fun and parties are their thing. You may be asking why but this is only because they love to dance. Like any Latin women, these ladies are really good at dancing that it seems that rhythm is part of their system. Knows how to take care of their body well. These women know how to take care of their bodies well. They are very health conscious and are believers of organic medicines. They are very good at making home remedies for coughs, colds, stomach aches and a few more common ailments. Satisfies your stomach. One of the things that Mexico can brag is its food. This is because of how great Mexicans are at cooking especially the women. They love to feed their loved ones and they do not just cook ordinary food; they cook delicious food which will satisfy your grumbling bellies and can turn your frown upside down. Have a visit in Mexico and experience firsthand how it feels like to date Acapulco women. Join and avail of our services, be matched through the best Acapulco matchmaker and let us help you find the love of your life!